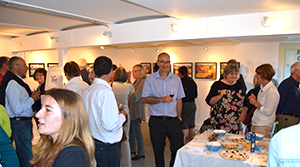 Last night the Art Studio held a Private View for the solo exhibition in Cirencester. The evening was both enjoyable and busy with 9 paintings going to new homes. Thank you everyone who came.